Grad-Dreams Pune provides expert IELTS training to students to improve their performance in the test. Grad-Dreams is also a registered center for the IELTS test. Know more about IELTS course fees, cost, duration, syllabus, eligibility criteria, batch timings etc. Pune being rightly called Oxford of the east, the city boasts of an ever growing number of students not only from India but all over the world. A huge fraction of these students aspire to study abroad for which they usually have to take the IELTS or TOEFL tests. Grad-Dreams has always taken an extra effort to train our students for their desired goal through our professional, systematic and student centric approach. Our institute has gained an expertise in training for IELTS to students and immigrants for 14 glorious years and still going strong, with a set of highly qualified and well trained IELTS trainers, who are trained and certified by prestigious and renowned education institutes such as The British Council. Our distinctly competent trainers who possess enormous teaching experience and skills, accurately assess the student's potential through an “Assessment Test". Subsequently, through adequate teaching resources extracted from IELTS teaching manual the students are trained during the IELTS classes to enhance their Reading, Writing, Speaking and Listening skills with a scientific and effective approach. By employing easy and approachable methodologies for IELTS coaching like extensive exercises for writing, listening, speaking and reading modules, not only make the lesson interesting but also helps the student to give the desired output and further placing him/her for the required test when he/she is ready. Usually the IELTS Coaching duration is 2 to 3 weeks depending on batch type (regular or fast track) at a moderate IELTS training fees that includes ample of practise and mocks tests enabling the students to accomplish the best possible results. All exercises and tools used are prescribed by the The British Council teaching pattern and aligned with their curriculum which ensure top quality for IELTS Preparation. Our structured classes and effective lesson plan, implements various group activity techniques and interactive sessions. This helps the student to eliminate their inhibitions of language and develop their conversational skills enabling them to gain immense confidence in the language and use it to excel their test scores. Administering personalized guidance and assistance at every step by our trainers. Being patient and encouraging the students who struggle with the language. Alternatively, setting extra tasks, challenges and higher goals for the more advanced students to achieve higher scores. Providing one to one speaking session to the candidate, not only helps build their confidence but the inputs provided by the trainer helps them to hone their speaking skills forever. Since our motto has been to take all possible efforts in training the students for their IELTS exam so that they can achieve their desired band score, we have a lot of students travelling from different parts of the city for IELTS Coaching from Aundh, Viman Nagar, Bhandarkar Road, Hadapsar, Bibwewadi, Kondhwa, Katraj, Kothrud, Magarpatta, Fatima Nagar, Wanawadi, NIBN, Koregaon Park, MG Road, Pune Camp, Pune Station and other parts of Pune as well. 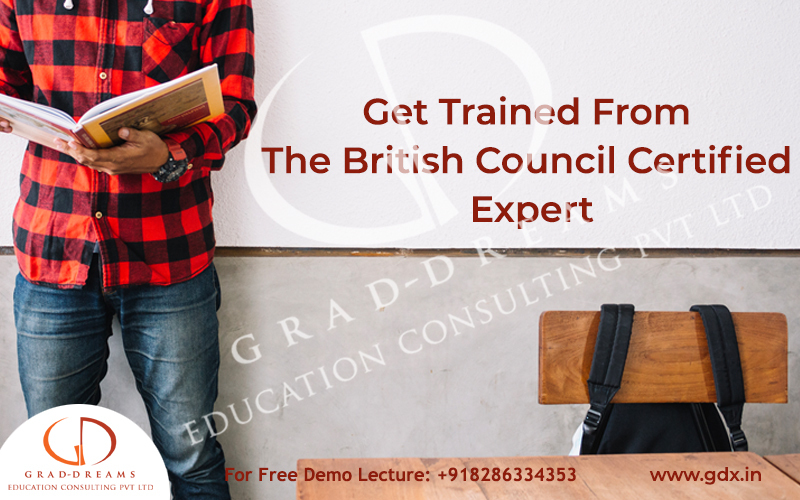 We provide free demo lecture and also conduct free workshop twice a month to introduce the participants to the IELTS exam syllabus, pattern, score guide and preparation tips.